The past few years have seen Oliver $’s name gradually build to a recognizable staple in house music. This Berlin born and based producer has gained acknowledgment through a series of solid releases on labels such as Play It Down, Rekids and Front Room Recordings. Remix credits can be found amongst the most famed independents; including Greco Roman, Rekids and Exploited as well as majors: Polydor and Ministry of Sound. 2011 was a massive year for Oliver $; with his first #1 Beatport track “Doin’ Ya Thang”, released on Play It Down; Made To Play’s sister label. “Doin’ Ya Thang” remained at the #1 spot for an astounding 5 weeks, and continued to sit in the top ten since selling over 30k downloads to date, also topping the Resident Advisor chart. This was followed by another hit “Granulated Soul” which topped the charts at the end of the year. 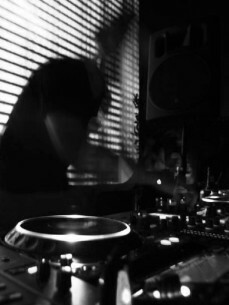 Continuing his success on imprint Play It Down his release ‘Hoes’ at the beginning of 2013 had heavy rotation in the record bags of Heidi, Nic Fanciulli, DJ Sneak and A Track to name a few. It reached number 2 on Beatport’s tech house chart.